1. 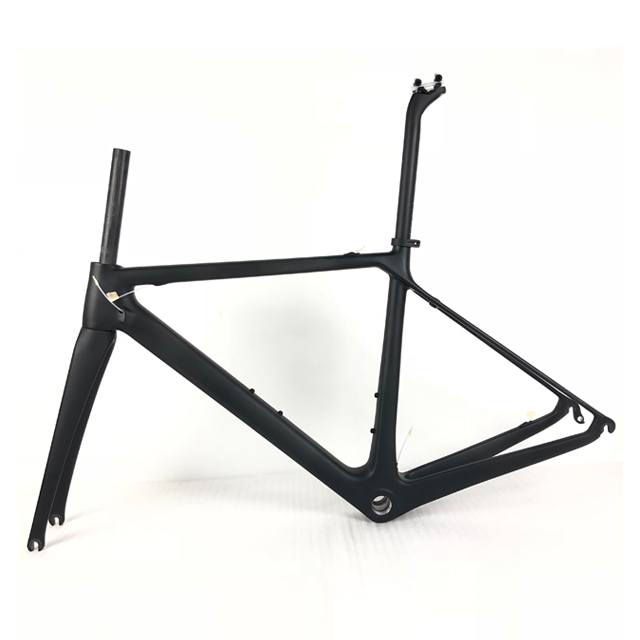 High Modulus carbon fiber T1000. 4. 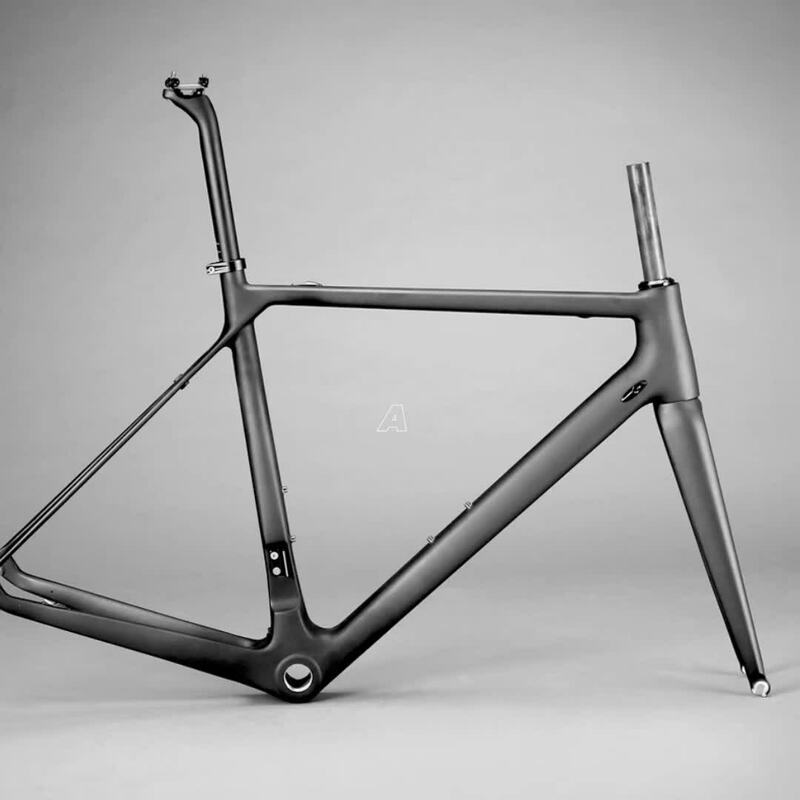 Aero tube design----Reduce the windage,increase the speed. 5. New design in 2016. 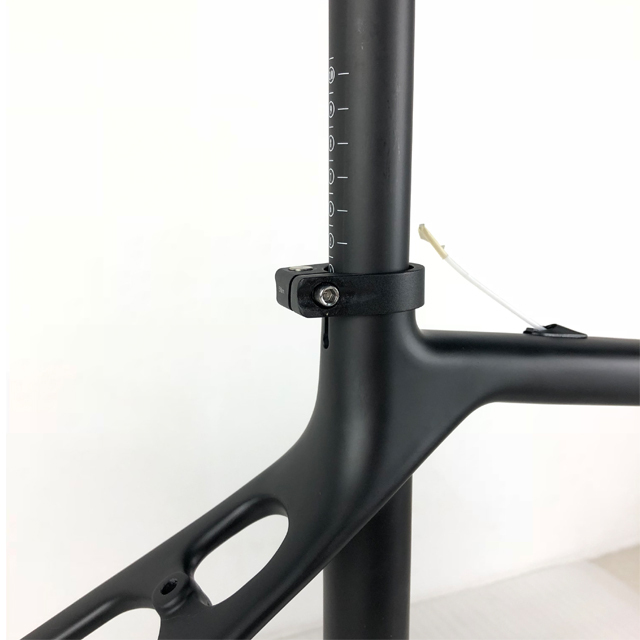 Headset Size top 1-1/8",down 1-1/2"
1.Support OEM & ODM: we can print logo or customs package according to our client’s requirement. Our design department will help you do what you want. it would be better if you can provide me with photos. We use the Pantone and YS color card. 2. Top quality: we have professional QC team to control the quality.and adopt EPS technique. 3. Fast delivery: over 100 workers ensure that we can send goods in 5-7 days after payment. 4. We work with DHL, UPS, FedEx, TNT ,XDB and EMS Aliexpress for small order. For large order we can arrange shipment by air or by sea. as friends and 24 hours customer service. 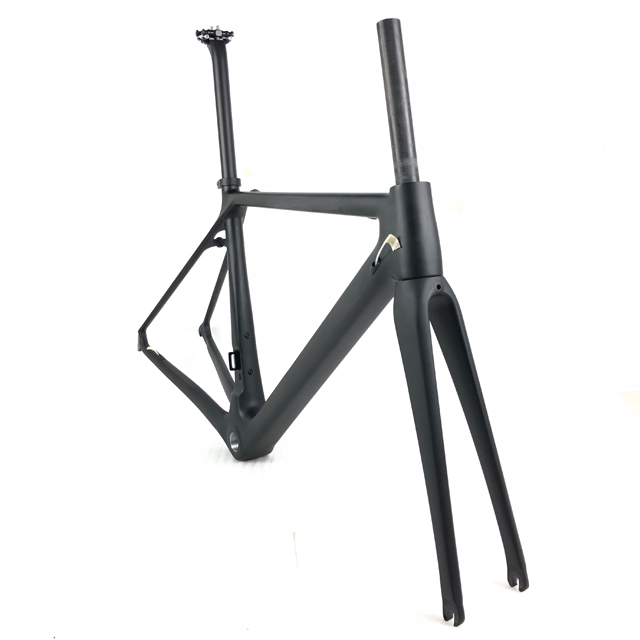 1.Frame Will be shipped from Asia by DHL/EMS/TNT/FedEX/UPS.it will take 3 days to 7 days about business days to arrive normally. 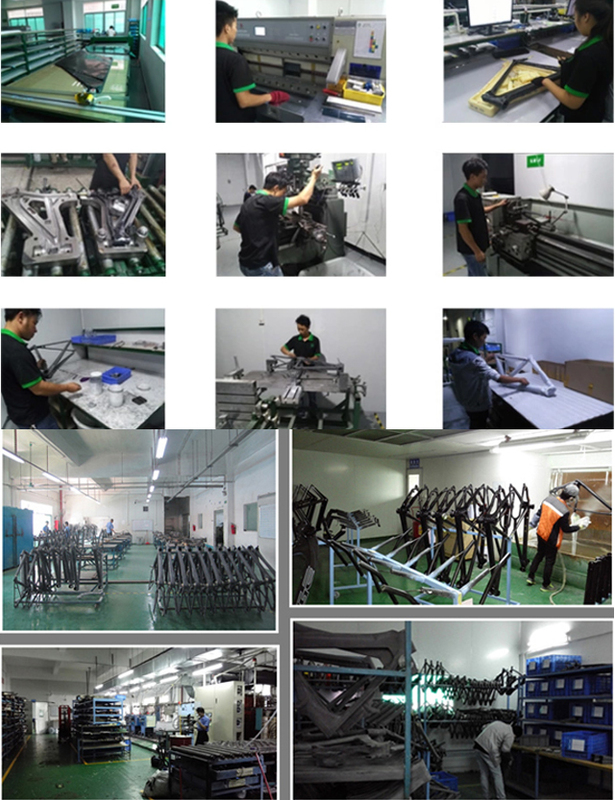 2.1) If the item is in stock, the lead time is 1-3 working days. 2) If the item is out of stock, the lead time is 50 working days. 1. Do you accept payment by Paypal? *Yes, we accept Paypal payment. Besides, bank transfer, pay by alibaba, Credit Card. 2. What kind of tests do you do for your rims? 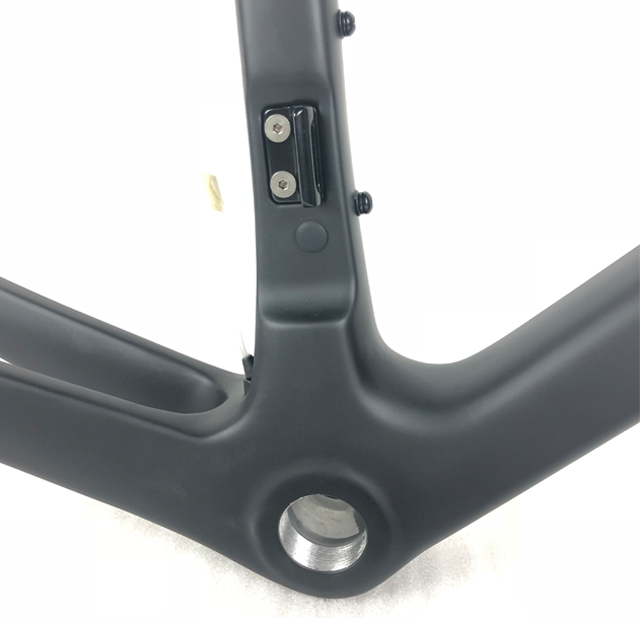 UCI, EN, CE? 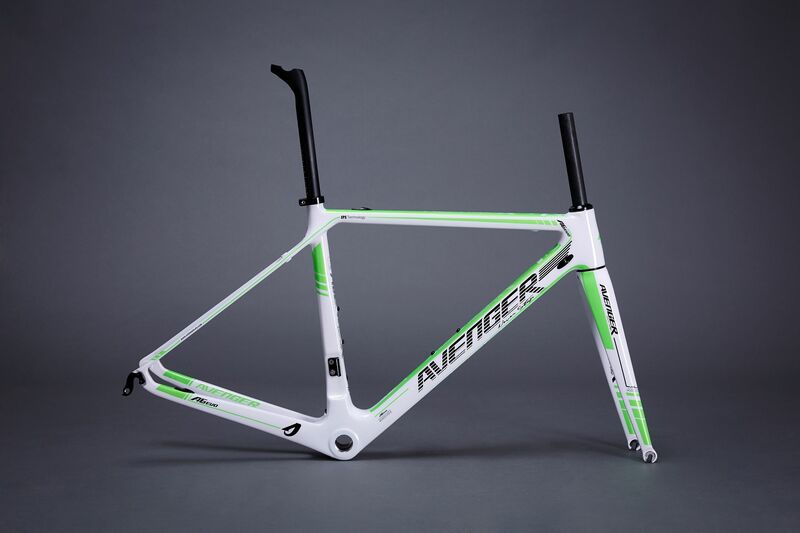 we are supporting to do UCI and other tests for your brands. 3. Does your factory offer customized paint and decal service? we have very professional designer to work with you. 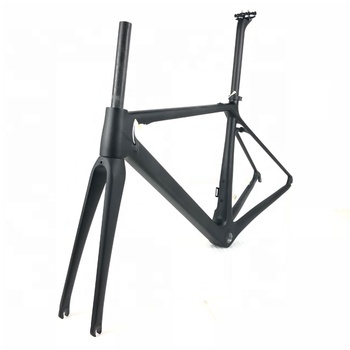 And the pictures of the painted product will be sent for your confirmation before shipment. 4. How about your shipping? How many days I can get the packages after shipment? *By default, we ship all parcels with EMS air express. so they are most cost effective with EMS air express. Generally, it takes 5 - 7 days to arrive once shipped. please contact us and we will find out a best delivery way for you. 5. Should we need to pay the high taxes? *Paying tax is the duty of every citizen, so buyers need to be responsible for the all of taxes in their countries. Due to the tax problem, buyers refuse to receive the goods, then buyers need to be responsible for freight fees ..
2 years exchange warranty for frame,1 year for carbon front fork,carbon seat post,carbon handlebar,carbon stem,carbon brake lever,carbon wheels and saddle. We will try our best to supply you best quality-product as well as best service. Any question,pls feel free to contact us. 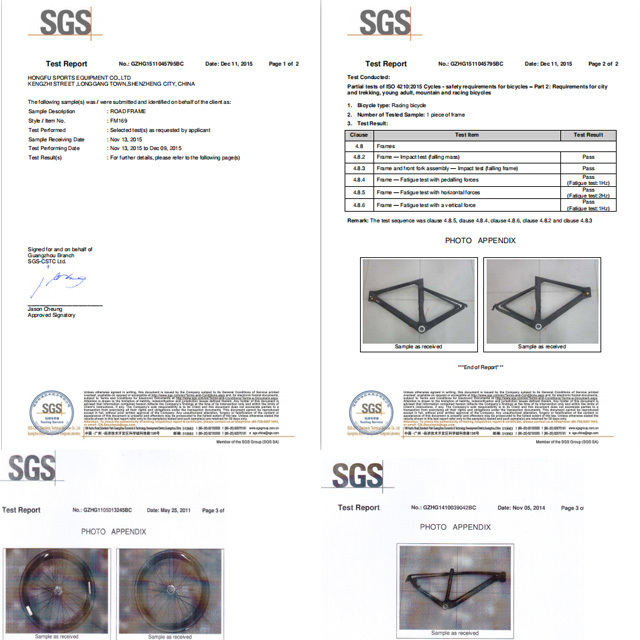 We have the certification for SGS , UCI etc. 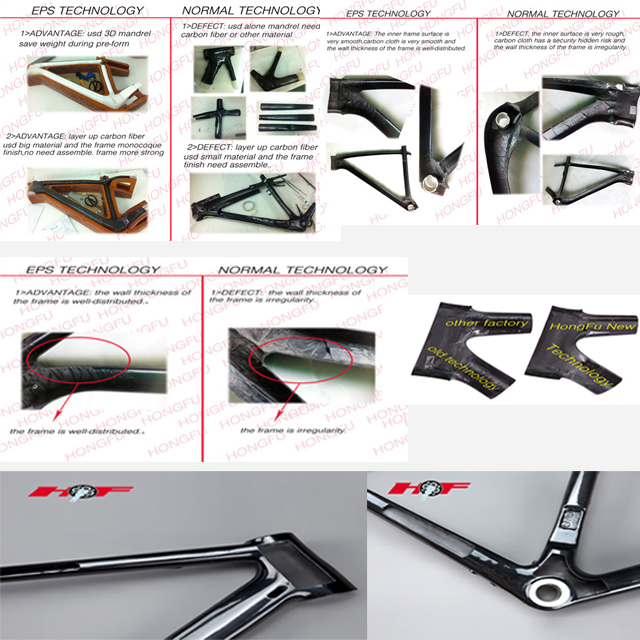 Our company is a professional producer of carbon fiber bicycle frame and related carbon bicycle parts. 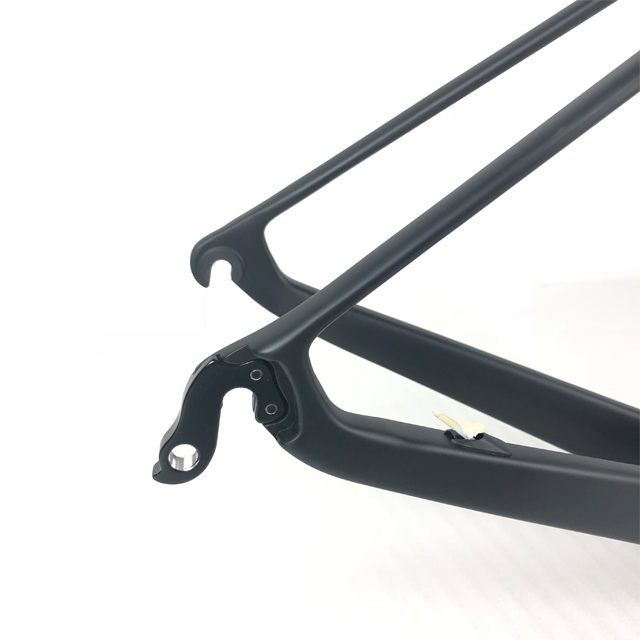 We use Japanese high modulus carbon fiber,Thus ensuring the frame with an extraodinary performance in rigidity and strength. 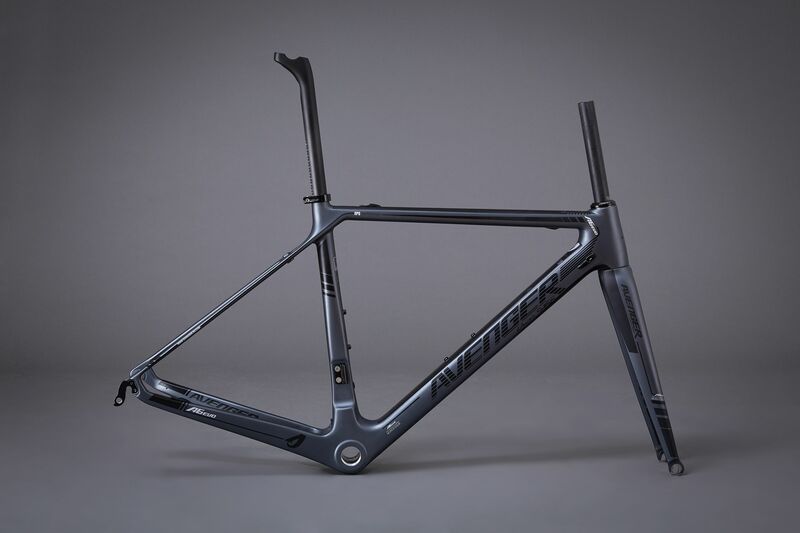 Leading technology, superior quality ,the pursuit of excellent.